London (Staff Report): Former prime minister Nawaz Sharif and his daughter Maryam Nawaz have left for Pakistan and will reach at Lahore airport on Friday (Today). A 16-member National Accountability Bureau (NAB) team has been tasked to arrest the duo. The bureau has arranged two helicopters. 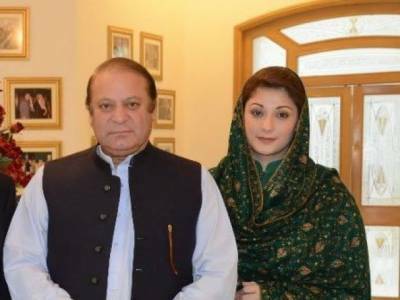 One chopper would be at Lahore airport, while the other would be in Islamabad, and the father-daughter duo would be arrested upon landing at either of the two airports. Earlier, Nawaz Sharif’s wife Begum Kulsoom Nawaz has regained consciousness. Meanwhile, Pakistan Muslim League-Nawaz (PML-N) president Shehbaz Sharif on Thursday vowed that he and his party workers will go to receive Nawaz Sharif at Lahore airport.